We warmly invite you and your family to join us over the weekend of 7th-9th July 2018, for our annual Bible Convention. 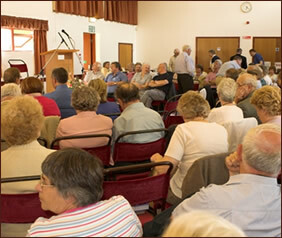 Held in The Memorial Hall, Longframlington, Northumberland – This will be the 71st Bible teaching weekend arranged by Longhorsley Mission. George Curry is the minister of Elswick Parish Church, Newcastle upon Tyne. His prayer is for the Lord to come down in refreshing power upon his people. Steven is married to Gail. They have three children, four (soon to be five) grandchildren, and and adult foster son. 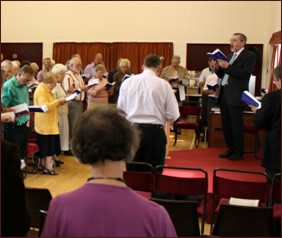 Steven recently moved to Ballymena Baptist Church. Prior to that he pastored churches in Ballymoney & Bangor. Gail is the Women’s Director of the Association of Baptist Churches. The free time they have, they like to spend with their grandchildren.